The $70 billion advertising question is how will marketers get their brands in front of an audience that is skipping TV commercials and online video ads at an alarming rate. Declining traditional advertising effectiveness is a result of audience desire for on-demand content, streaming services, DVRs, time-shifting, ad-skip and ad-blockers. This has forced many marketers to switch tactics and focus more on integrating their brand directly within the entertainment. On the other side of the equation; when marketers think about brand building, they’re not thinking about how many viewers are watching a TV series, they just want to know how many people saw their commercial. While linear TV viewing declines, time-shifted DVR programs and live TV (sports & news) viewing rose 7% in the fourth quarter of 2015 to 1,004 hours of TV viewed per household, with time-shifted viewing — 15 days after live airing — also gaining 7% to 356 hours of TV viewed per household, according to comScore’s TV Essentials. 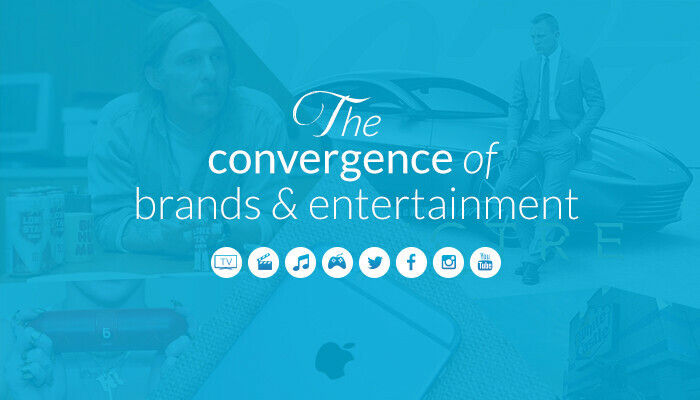 Marketers are challenged with gaining brand relevance. Today’s audience no longer subscribes to the old paradigm of forced commercial viewing. At the same time audiences are skipping interruptive commercials, they are consuming a massive amount of entertainment: music, movies, video games, social media and on-demand programming from Netflix, Hulu, Amazon, YouTube, HBO, Showtime and more. When a brand has a viewer-friendly marketing strategy in place, a well-budgeted media mix combining traditional advertising techniques with native brand integration and the tools to measure the KPI it requires, it will stand up to the changing audience behavior and attract the kinds of consumers it demands. If not, then a lot of money will likely go wasted trying to attract viewers who are now trained to ad-skip. Source: BLS American Time Use Survey, A.C. Nielsen Co. Subscription numbers have fallen yet revenue continues to increase. More and more people are moving to services like Netflix and Amazon Prime. The cable industry is still attempting to offer consumers more and more channels.